One of a kind, restorative and transformation quest. This retreat promises a unique experience and travel off the beaten path into the unspoiled, lush beach/mountain setting of Kauai. Designed for wellness enthusiasts, this 6-day/5-night retreat will include a variety of activities all accessed daily from the resort, to re-energize you physically and mentally, including a Hawaiian massage, beach walks, stargazing, Volo Aerial Yoga, SUP or surf lesson, daily mediation & yoga with instruction suitable for any level of experience. This restorative getaway, will entice you with deep rest, a healthy fresh start to each day with a local cold pressed organic juice, exquisite farm fresh local produce, island culture immersion, connections with kindred spirits and beach activity options all surrounded by the stunning natural beauty of Kauai. The meditation/yoga, hiking, and surfing activities will all be optional participation. There is no obligation to do something that doesn’t suite your purpose, pleasure and comfort level for the trip. Leading the retreat is the founder of Volo Yoga, Harmony Hoefner. Her knowledge of leading International retreats totals fourteen years of experience living full time overseas immersed in the surf, yoga and adventure travel culture. Harmony has made local contacts at all destinations where she leads her Volo Escapes and can offer the optimum authentic cultural experience in the exotic tropical paradise. Get ready for the ultimate experience of transformation and reawakening of your spirit. Volo is Italian for flight. The Volo aerial yoga methods are an evolution and complement to the mat practice of yoga. Set yourself free so you can fly through the open doors that lead to success, happiness and health! These charming, cottage-style Poipu vacation condos are situated on 35 acres of verdant lawns that reach out to the sands of Kauai’s most popular beach. The lush property is dotted with cactus and orchid gardens that surround the comfortable, breeze-cooled condominiums. Guests enjoy tennis courts, a swimming pool and convenient dining. Kauai is truly a natural wonder, home to the wettest place on Earth (Mount Waialeale), the "Grand Canyon of the Pacific" (Waimea Canyon), and a host of other eye-popping spectacles, brought to you courtesy of Mother Nature. Of course, Kauai also happens to earn the distinction of being home to one of the world's top 10 rated beaches - Poipu, a series of three white crescents curving beside turquoise waters along the island's south coast. Daily Healthy Pre-prepared meals to cook in condo by Misha @ Juice Bar. 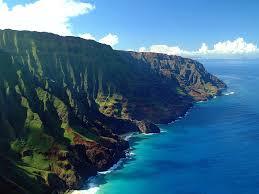 There are several recommended flights direct to Kauai (LIH) from LAX on Alaskan Air or United. Arrival airport pick up shuttles will be offered at: 1:30 PM OR 7:30 PM on 3/28. It is a 20 minute drive to the resort. The departure shuttle from the resort will be at the airport by 8:45 am on 4/2, so you can plan your flights accordingly. This will put participants at the airport in time for several late morning flights on Hawaiian Airlines who is currently offering the best return fair. **I am the shuttle driver, so don’t stress over a little flexibility in arrival or departure time of the shuttle. I will collect flight itineraries from all participants and adjust accordingly. Use those times as your booking guides. If you would like to add-on an extra day or two on the front end of tail end of the retreat, you are more than welcome to do this. We can help with arrangements.